This sky dragon surprised me by dancing across the sky one day at about 8:30 in the morning, as we were heading to church. 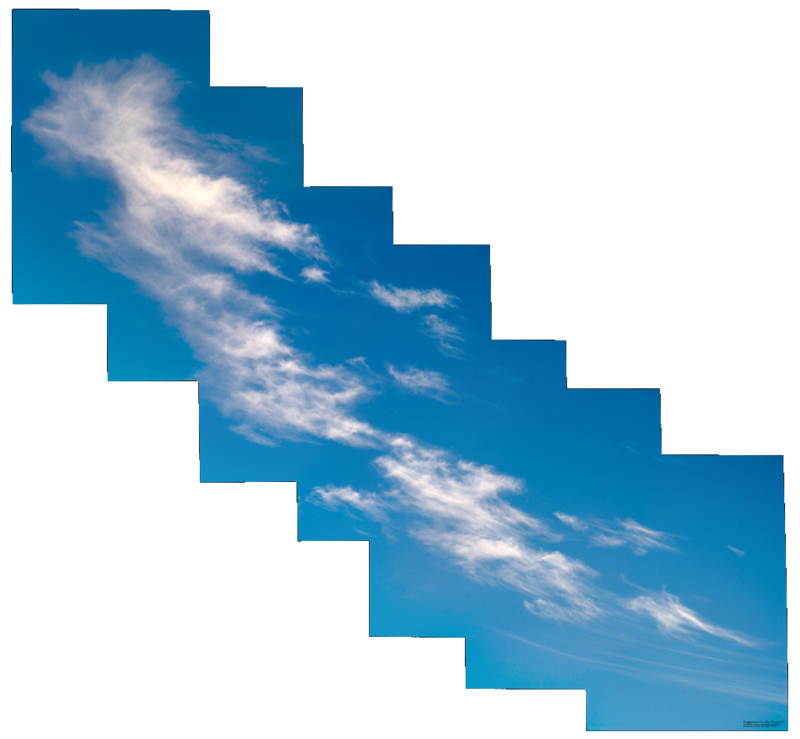 It is stitched together from seven frames shot in a diagonal pattern. After some minor clean up, I decided that keeping the stair-step pattern accentuated the “climbing look” of the dragon. The full sized image is 27″x25″, so I’m thinking of selling prints. What do you think?